This is also taken from the Kibble Palace. I love that whatever the weather (or probably more accurate for here, Weather-with-a-capital-W), even in Glasgow there is a touch of the tropical. This entry was posted on June 27, 2009 at 12:01 am	and is filed under Uncategorized. 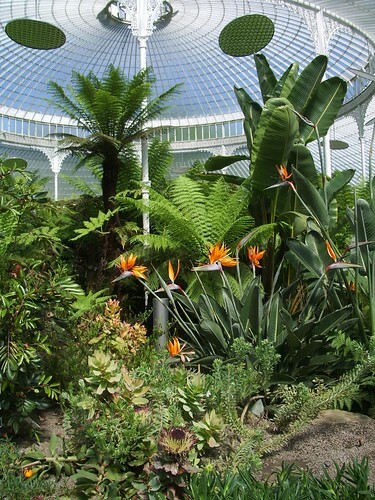 Tagged: Botanic Gardens, Glasgow, Kibble Palace. You can follow any responses to this entry through the RSS 2.0 feed. Both comments and pings are currently closed. Hi Jackie – this looks very much like Florida! Nicely done! Aha! You are showing the greenery of Florida!! Beautiful it is!!! This type of climate is tooooo hot for my northern blood, but it sure is pretty to look at! Lovely capture!